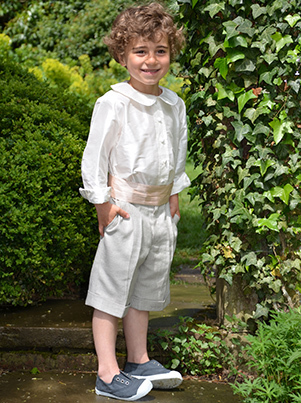 Smart page boy shorts in silk linen. Cut to just below the knee with turn-ups and an adjustable waistband. Available in ash, chalk and navy. Matching waistcoat also available.